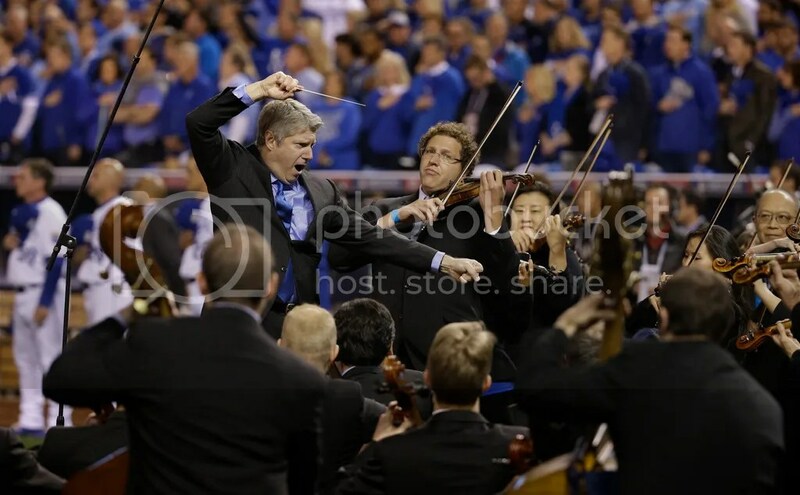 Kansas City Symphony Concertmaster Noah Geller will perform the national anthem on Tuesday, Sept. 12 before the 12:15 p.m. Royals game for “Symphony Day at the K” against the White Sox. Geller joined the Symphony as concertmaster in 2012 at the invitation of Music Director Michael Stern. Previously, Geller has performed the national anthem with the full Symphony on several occasions at Kauffman Stadium, but this will be his first time performing the “Star-Spangled Banner” as soloist. Many Symphony musicians and staff will attend to cheer him on! Let’s go, Royals! For tickets to the game, visit mlb.com/royals. For a list of upcoming Symphony performances, visit this page.